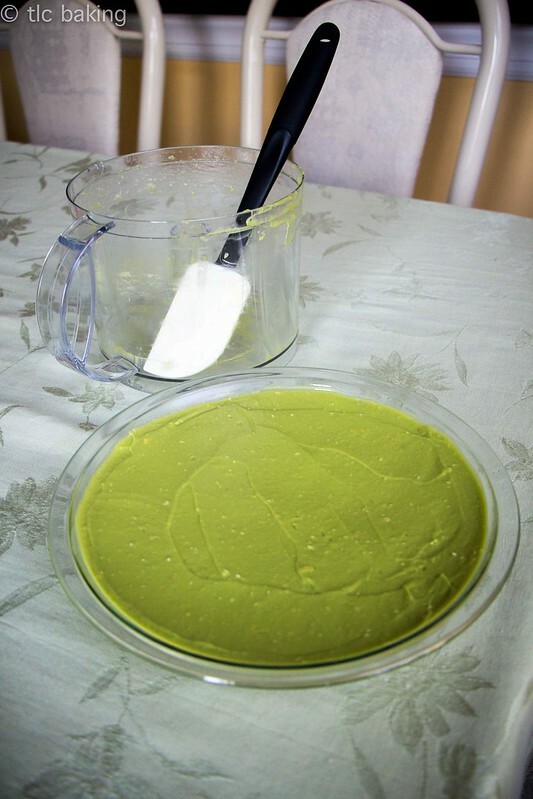 vegan key lime pie [blogilates] – tlc. | tender love and cupcakes. As the weeks fly by and my blog continues to be neglected, I realize more and more that I am probably doing too many things for my own good. For those of you still reading: thanks for sticking around. I’ll figure this out eventually. With the holidays coming up quickly, my favorite food sites have been flooded with fall spices, apple crumble, and pecan and pumpkin pies. But while my stomach says hot damn yes, my jeans say NO, and I find myself looking for healthy alternatives to eating a different kind of pie every week. 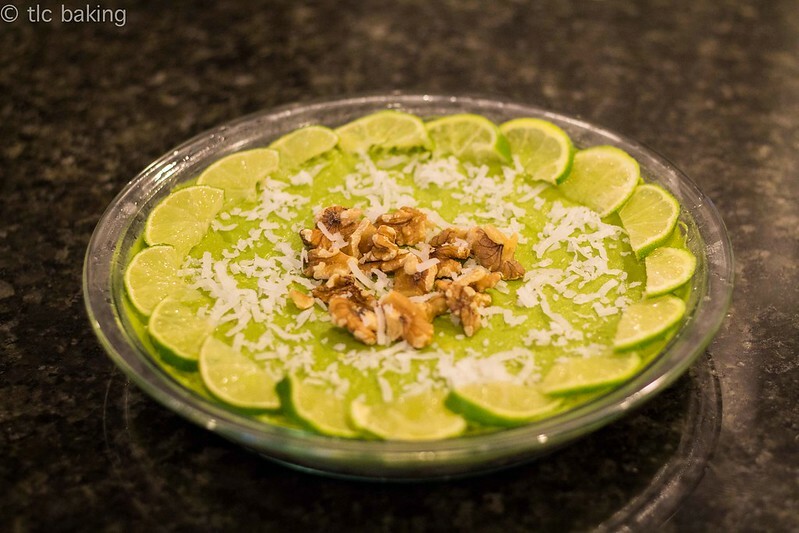 Enter the vegan key lime pie, courtesy of Cassey Ho at Blogilates. While it looks like pie and feels like pie, it doesn’t quite taste like pie–but it is still absolutely delicious, and good for satisfying a sweet tooth. The wonderful part: this deceptive “pie” is made from wholesome ingredients that will actually make it good for your health to be eating a slice. What?! I know. There’s also no actual baking involved–just a freezer. The less wonderful part: the prep requires a food processor. If you’re like me, that means digging around on the top shelves of cabinets and sorting through all the kitchen appliances your mom owns but doesn’t actually use. Which then leads to extra cleanup. This dish also doesn’t keep for very long, and some people will be incredibly disappointed at the lack of actual pie. But we don’t need to worry about those people. 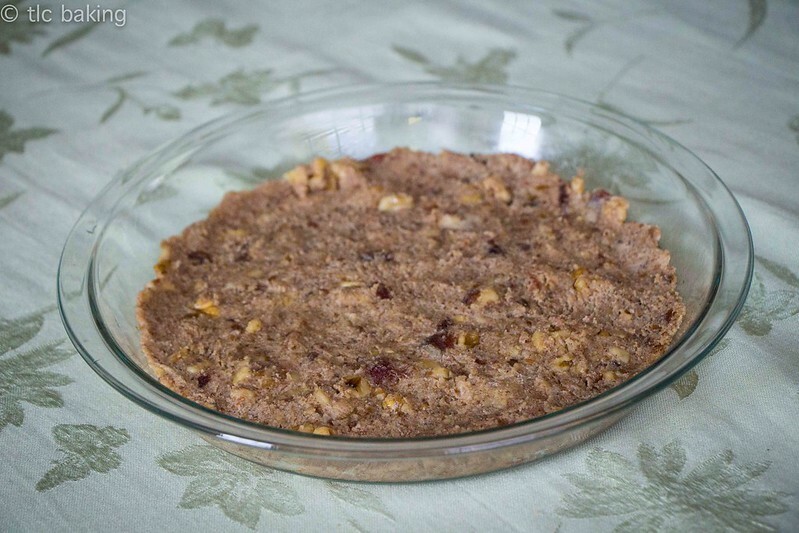 After soaking the dates in water for an hour, blend them with the walnuts to make the pie crust. 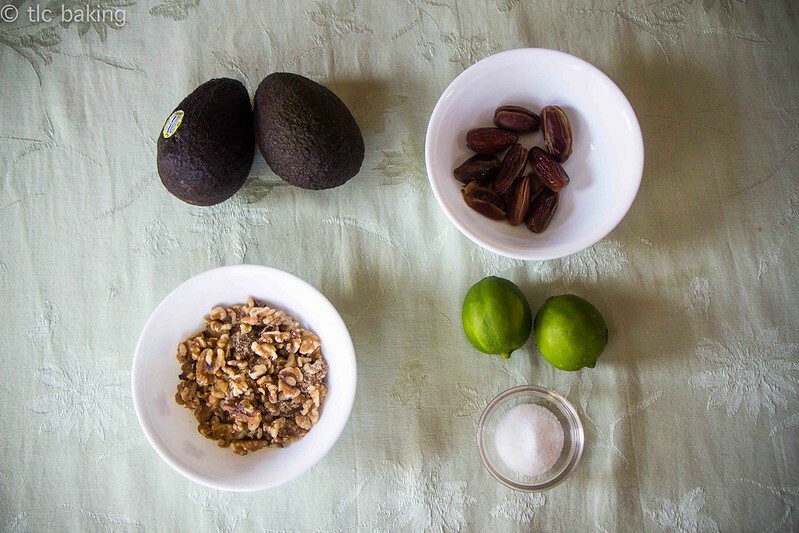 Slice up your avocados and throw them into a food processor with the sugar and (optional) oats/tapioca, blend it all, and pour it over your crust. 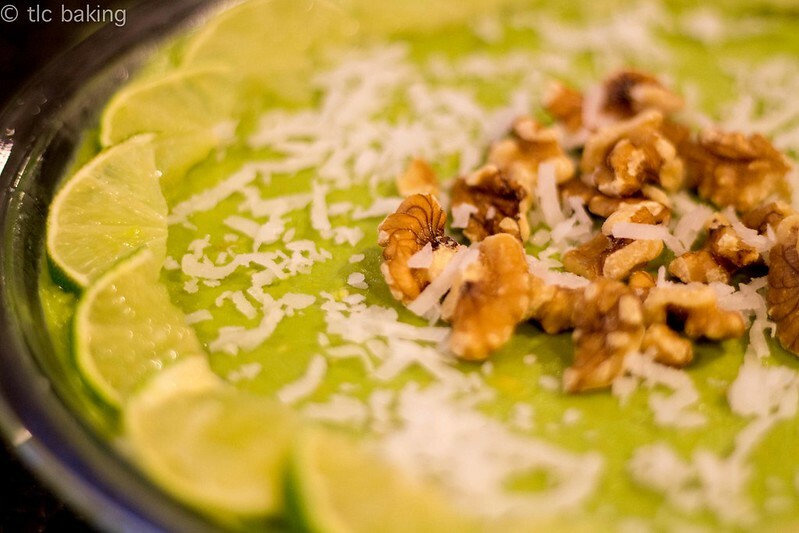 Garnish with coconut flakes, lime slices, and whole walnuts–and you’re done! Just pop it into the freezer until it’s firm. 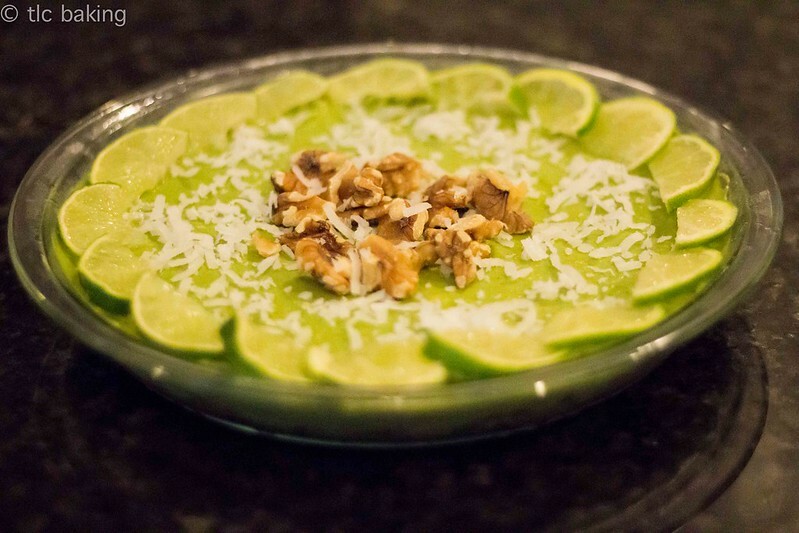 Avocados aren’t in season anymore, but let me know if you find some good ones and try this recipe out! And to anyone who is less than thrilled about a healthy vegan dessert: fear not. Butter, sugar, and chocolate will return soon. snickerdoodle muffins [tasty kitchen]	TARDIS cake – happy 50th!